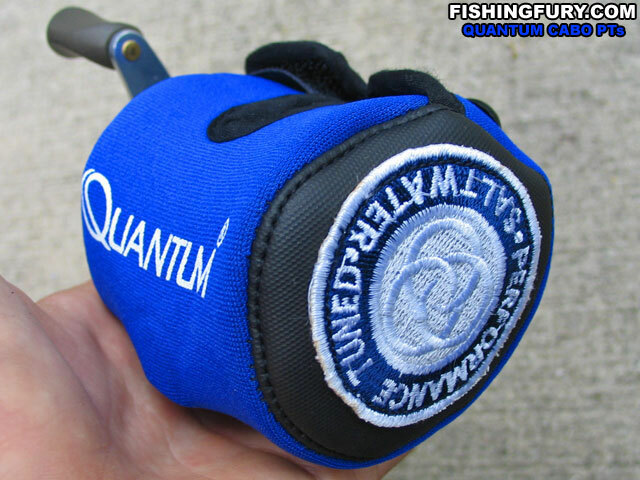 Quantum Cabo PTs CBC31 | FISHING FURY - A Fishing Blog with Attitude! My lovely fiancee was kind enough to get me exactly what I wanted for my birthday this year, a new reel! 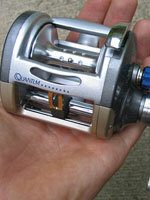 I have had my eye on the Quantum Cabo bait cast reel for a couple of years now. The blue and grey design immediately caught my attention when I first saw it. 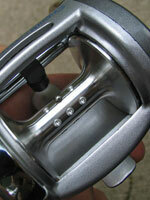 After researching the reel I learned that it is not only good looking, but remarkably strong. 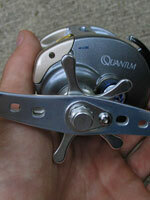 I have spooled the reel with 65lb PowerPro line and will be using it mainly for musky this year. 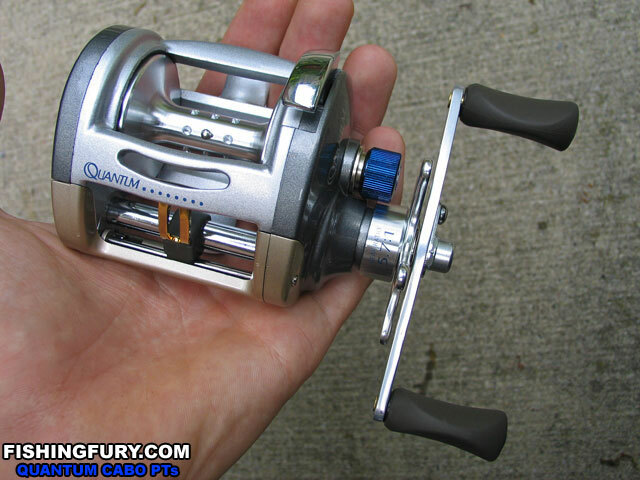 I’ll have a review written about the reel once I find a rod to match it up with, stay tuned! You will be very happy with it, it casts brilliantly! 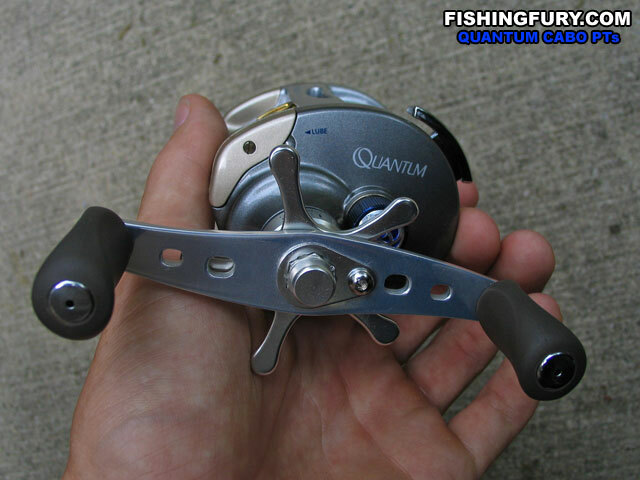 I’ve been fishing Quantum PT rods and reels for a few years now and I absolutely LOVE them! 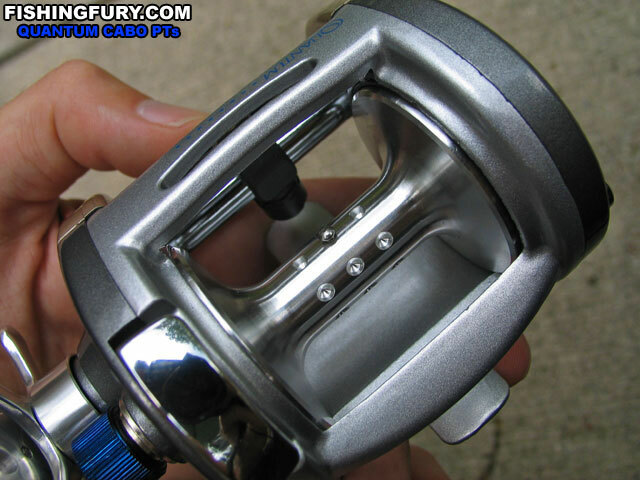 the reels are strong, adjustable, and reliable and the rods are just as strong and comfortable to use all day. I am right now running the Tour Edition PT (rod and reel) and the Energy PT baitcasters as well as the Energy PT (rod and reel) spinning combo. I’ll have to check out this Code. Haven’t seen that one yet. The Spring fishing and boating show is this weekend so maybe I’ll be able to actually see it there. If the price is right I may end up with one too. 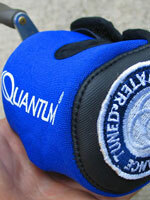 I agree, I’m decked out in Quantum PT gear these days and I love it! Toronto Sportsmen’s Show: Swimbait Spoils | Fishing Fury - A fishing blog with attitude!